Speechless! 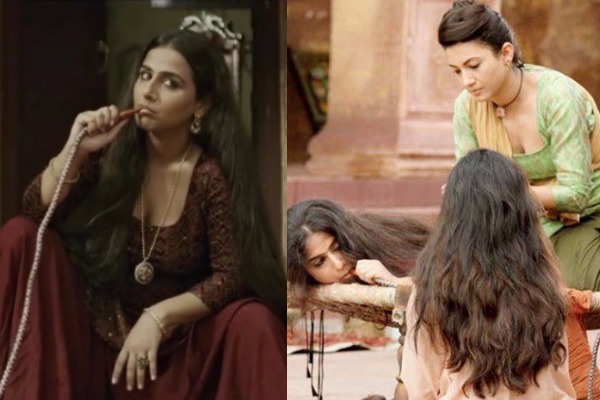 Yes, this is what Vidya Balan’s upcoming film Begum Jaan’s trailer will do to you. The much-talked trailer of Begum Jaan is finally out and must say, Vidya Balan, is terrific. Directed by Srijit Mukherji, the film is a remake of his own acclaimed Bengali movie, Rajkahani. The trailer looks promising with a strong storyline and amazing star cast. Former Bigg Boss contestant Gauahar Khan has only one line in the trailer but she has nailed it. The story of the film showcases the issues connected to the women of the world. The trailer opens with an introduction in the voice of Amitabh Bachchan that shows that the story is based on the backdrop of the year 1947. The trailer revolves around the region of a brothel which is owned by Begum Jaan played by Vidya Balan. In her boldest and fierce avatar, the actress is seen struggling to fight for her region and the women that stay with her. It’s the story of eleven prostitutes who refuse to part ways with their brothel and each other during India-Pakistan partition. Also See: Sridevi Unveils The First Look of Movie ‘Mom’ After English Vinglish And Its Gripping! Each frame in the trailer has been strongly presented and has already piqued the audience’s interest, courtesy Vidya Balan’s performance. We just can’t wait for the film. While Vidya is terrific, we can’t wait to know more about Chunky Pandey’s ruthless act in the film. The movie is written and directed by National award-winning director Srijit Mukherjee. It also stars Naseeruddin Shah, Ila Arun, Gauahar Khan, Pallavi Sharda, Rajit Kapoor, Ashish Vidyarthi, Vivek Mushran, Chunky Pandey, Poonam Singh Rajput, Ridheema Tiwari, Flora Saini, Priyanka Setia, Mishti Chakraborty, Sumit Nijhawan, Pitobash and Rajesh Sharma in pivotal roles. The movie will release in cinemas on 14th April 2017. Previous : Sridevi Unveils The First Look of Movie ‘Mom’ After English Vinglish And Its Gripping!